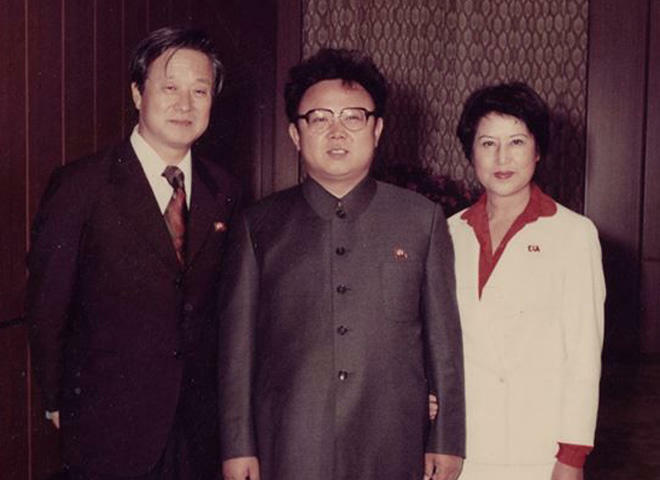 Kim Jong Il was known for many things -- an autocratic leadership style that kept the nation of North Korea isolated for decades, a penchant for executing political rivals -- but he was also a passionate movie buff. He collected tens of thousands of videotapes and DVDs (he loved Elizabeth Taylor and James Bond movies), and even wrote essays on film theory. His ego sought to push the moribund North Korean film industry to compete against the blossoming film community in the South (not to mention Hollywood). But the propaganda output of North Korea did not earn the nation much respect at film festivals abroad. So what do you do if you’re a dictator whose country lacks talented filmmakers? You order some kidnapped. This too-strange-to-be-true story is the subject of a new documentary, “The Lovers and the Despot,” which shines a light on the veiled Communist country that has confounded intelligence analysts and delighted satirists, but which remains for most of us a caricature of an authoritarian state. What the film effectively depicts is the emotional and personal costs borne by those caught -- unwittingly or not -- in a political melodrama. If John le Carré had written a Hollywood satire, it might look like this. In 1978, while visiting Hong Kong, South Korean actress Choi Eun-hee was abducted and brought on board a freighter headed towards Pyongyang, where she found herself in the audience of Kim, who praised her performances and promptly placed her under house arrest. Meanwhile, her husband, film director Shin Sang-ok, while desperately searching for her, found himself whisked across the border to the North, where he would languish in prison for four years. Subsequently, Shin and Choi were reunited, only to be tasked by Kim to make films for the North. Feigning loyalty to their new benefactor, Shin and Choi produced several films for Kim, including ”Pulgasari” (a sort of “Godzilla” for the proletariat for which Kim was identified as executive producer). They may not have been good, but the movies saved their skins, and ultimately earned them a trip to Austria to attend a film festival in 1986. There, they managed to slip away from their minders and head for the U.S. embassy in Vienna, and freedom. Directed by Robert Cannan and Ross Adam and produced by Natasha Dack Ojumu, “The Lovers and the Despot” intriguingly recounts the couple’s long, strange trip with sad irony, and how their years spent making films for Kim would cost them dearly. In addition to separation from their children, their exile in the North also earned the pair the suspicions of colleagues who questioned their loyalty. Tapes of secretly-recorded conversations with Kim refuted the North’s claims that the couple had defected voluntarily, but Shin’s work upon his return to South Korea (and during a brief stint in Hollywood) wasn’t nearly as memorable as the real-life drama in which he and his wife had starred. How could it be? “The Lovers and the Despot” (distributed by Magnolia) will be released in theatres on September 23 in New York, Washington, D.C., Philadelphia and Cambridge, Mass., and later in Denver, Louisville, Seattle and other cities. The film will also be available on the same date via VOD, iTunes and Amazon Video​. It is not rated.